Even though it might not be be the first or most popular city that comes to your mind when you think of Germany, the city Hanover is definitely worth a visit and has a lot to offer. In this article I’m going to tell you why exactly you should plan a visit there and fun things to do during your stay. First, we are going to start with a little bit of geography and history. Hanover is the located in the northern part of Germany and is the capital city of the German state of Lower Saxony. It has around 530,000 inhabitants, with that it is the thirteenth largest city in the country. The city was founded a long way back, in medieval times on the east bank of the river Leine, which flows right through the city and offers a lot of water sports activities for locals, as well as for tourists. Becoming a rather large town during the 13th century, Hanover received it’s town status in 1241, mainly due to it’s position at a natural crossroad where a lot of trade took place during that time. Many churches were built in the 14th century, such as the city wall with three gates one can still see remains of them both today. Unfortunately, as an important railroad and production centre, Hanover was a major target for strategic bombing during World War 2, leaving big parts of the city largely destroyed. However, a lot of things were rebuilt and even though big parts were destroyed you can still see a lot of old and historic buildings in the old town, which is definitely worth taking a walk through. But what else are interesting activities one can do in the city ? One of the first things you should do to get a great overview of the city is to visit the New Town Hall, located in the middle of the city. It was opened in 1913, after it had been under construction for nearly 12 years. The building’s dome, where the observation platform is located, is 97.73m high. With it’s arched course following the shape of the dome , the dome’s lift is unique in Europe. From the observation platform you have a great view over the whole city and can see a lot of other famous sights from there. 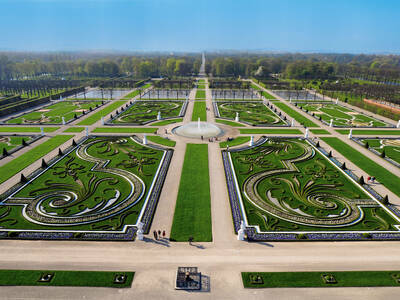 Another attraction that one shouldn’t miss while visiting Hanover is the Herrenhausen Gardens. In total, they consist of four seperate, rather large gardens, called the Great Garden, the Berggarten, the Georgengarten and the Welfengarten. The Great Garden has been one of the most popular and distinguished baroque formal gardens of Europe, ever since it’s opening in 1640, when the castle was built. During the same time , the Berggarten was transformed from a simple vegetable garden that was used for cooking in the castle, into a large botanical garden with it’s own attractions. The other two gardens, the Welfengarten and the Georgengarden have been constructed in the style of historic English gardens and are considered popular recreation areas for the residents and inhabitants of Hanover. The history of the gardens spans over several centuries, and they have always been a big attraction in the city and remain popular to this day. Your bucket list also shouldn’t miss the Maschsee, an artificial lake situated south of the city centre of the city, just like the New Town Hall, which is in walking distance. Being 78 hectares large, it is the largest body of water in Lower Saxony’s capital. Just like the earlier mentioned Herrenhauser Gardens, the lake is a popular and well known recreation area for inhabitants and tourists and also serves as a venue for a big variety of water sports all through the season. Here, you can rent a boat for a pretty good price to just enjoy time on the water or you can go around on good bike paths on a bicycle or on inline skaters. Or you can just take a relaxing walk around the lake, which will probably take you around 40-50 minutes. Last, but not least, I want to talk about something that you might not find that special, because a lot of cities have a zoo , but Hanover’s is actually special for many reasons. The Zoo is located right in the city centre, so it is very easy to get there, by public transportation, by bike, or by car. The zoo was established on 4 May 1865, and comprises an area of 22 hectares. It contains about 3,414 animals in 237 species, which are cared for by more than 400 employees. 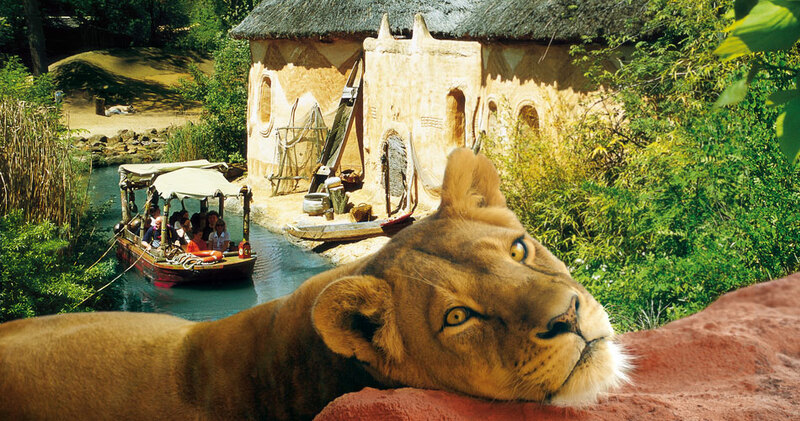 There are seven differently themed areas or lands, from Canada’s Yukon Bay, populated by seals and polar bears, to the Indian Jungle Palace with its tigers, leopards and sacred grey langur monkeys, and the Australian Outback of kangaroos and emus. While visiting the zoo, you will be able to not only see a lot of interesting and exotic animals, but also do other activities, like going through a labyrinth, jump on a trampoline, or go to a big playground. Either way, you are going to have a great experience at one of the world’s most famous zoos. Personally I would say that even though Hanover has way more exciting things to show you, these are my personal favourites, since they are a lot of fun for everyone, regardless of what age you are. Generally speaking, the city of Hanover is definitely worth a visit and has a lot of activities to offer. You cannot visit California without a visit to the City of Angels: Los Angeles. Famous for the movie studios, Hollywood and The Walk of Fame, but there is so much more to see in this spectacular city, even when you are only visiting for three days! So start planning your trip to LA right now, because I will reveal to you the best sightseeing places, restaurants and, of course, the most wonderful shops. I started my trip with a visit to the famous Farmer’s Market. 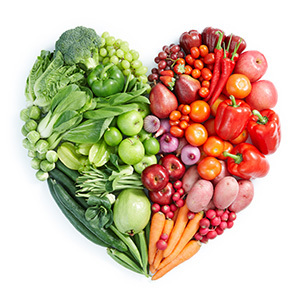 This is a great experience to try different kinds of foods from several cultures. From Italian pastas to Japanese sushi, The Farmers Market has it all. Around Christmas is the perfect time for a visit because of the special atmosphere and exuberant decoration. There are also many Christmas festivities going on, like live music and Dickensian carolers. 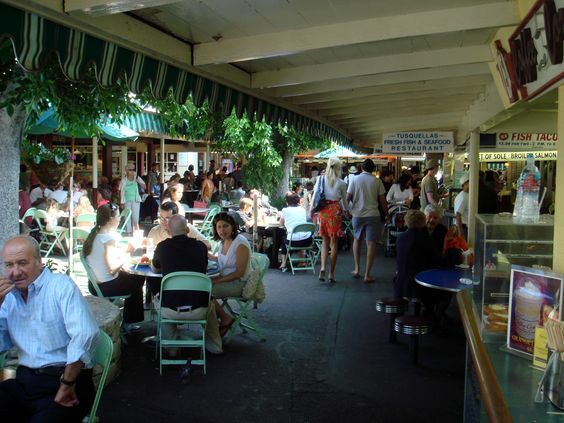 The market is not only a great place to eat, but also to shop. All the big names like ZARA, Barney’s, Coach and many more have a shop in this area. So the perfect location for food, shops and fun! Los Angeles is without doubt the capital of the movie industry. All the big movie companies are located here, like Universal, Warner Bros and Paramount. For all the movie lovers this is the perfect opportunity to visit one of their studios, but the big question is which one to visit? I chose the Warner Bros Studios. They offer different kinds of tours, like a general tour, classic tour, deluxe tour and even a horror tour. I decided to go for the classic tour because I am a big fan off the old movies. This tour is focused on the Golden Age of Hollywood from the early 1900s to 1960s. If you are not a huge fan of the old movies, than a better option is the general tour. The tour I took was 3.5 hours and it was an amazing experience. They showed us the movie locations of Casablanca, Rebel Without a Cause and many more! What is special about this tour is the fact that they really give you an inside look behind the studio. They showed us the depot with all the equipment they used in the Warner Brothers’ movies. In total the tour took around 3.5 hours so a good option would be to combine the tour with another day activity. 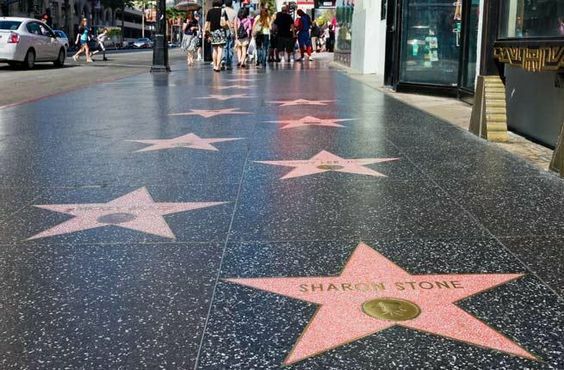 You cannot visit Los Angeles without a visit to the Hollywood Walk of Fame. At this place you can find the real stars. 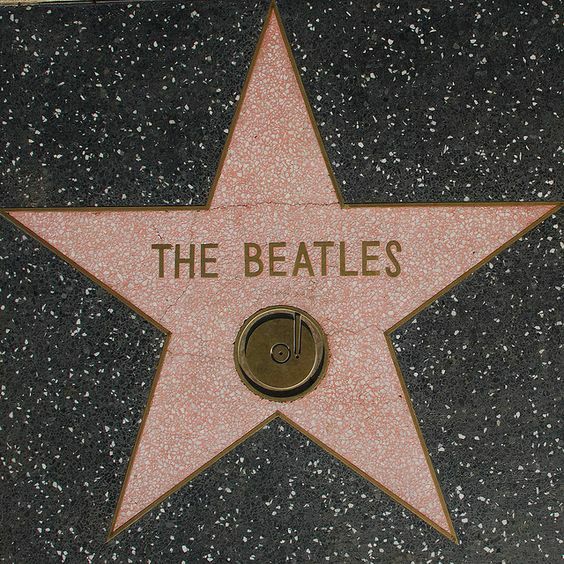 In total there are 2,600 stars, from The Beatles to Johnny Depp, along 15 blocks of Hollywood Boulevard and three blocks of Fine Street. I went to this place in the evening, but I highly recommend going during the day. You have a much better view of the street and a lot is going on, like street performances and you can even take a picture with a real snake! Looking for the best view of the whole city? 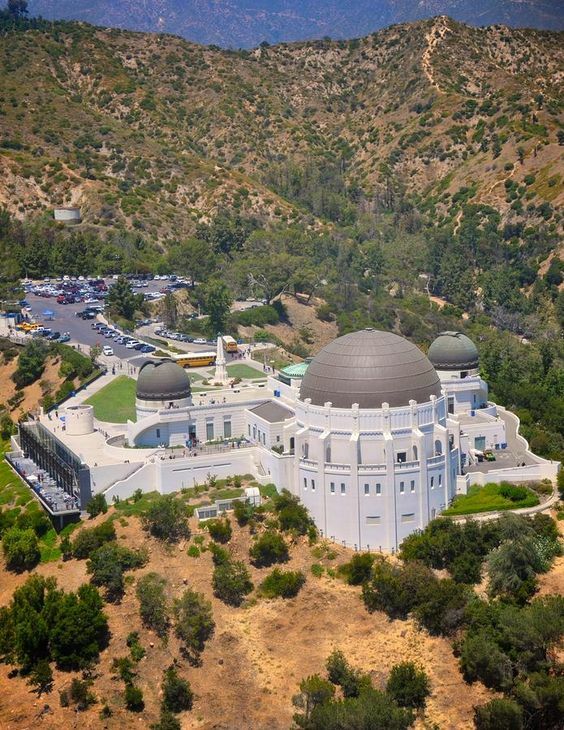 Go to the Griffith Observatory Park where you will find a breathtaking view on the City and the Hollywood Sign! There are two options to go. The first one is to go by car and park your car at the Griffith Observatory parking place. This is the easiest way but I would definitely recommend to go here by hiking. It’s active and by this way you discover so much more. There a dozens of way to get to the park, from beginner to advanced level. I was not prepared for a challenging hike so I decided to go for the East Griffith Observatory Trail. This hike took only 30 minutes, so perfect when you have more plans for the day. For this hike you can park your car to the intersection of Vermont and Vista de Valle / Commonwealth Canyon road and walk west on Vista de Valle. Go further and you see the picnic table, this is the start of the hike. This route is easy-to-follow and not that difficult. During this trip you will pass by many point where you have a magnificent view over the city of Los Angeles. After 30 minutes you will arrive at the Observatory, which offers you art deco architecture, the views on the Hollywood Sign and the Statue Memorial to James Dean. This was just one short and easy way to go. For an overview of all the different hikes go to http://www.modernhiker.com. Enjoy your hike! Los Angeles is by far the best place to shop in California. It offers a variety of high end brands, vintage stores, upcoming designers, big department stores and cozy boutiques. I started my shop session at Melrose Avenue. First stop was the legendary retailer Fred Segal. Well known for the perfect jeans. Visit also Gregory’s for great service and exclusive, high quality Italian shoes. I found here the perfect pair of over-knees suede boots. Go further on Melrose Avenue and you will find big names like Paul Smith, Balenciaga. Looking for something more affordable? Go to Wasteland consignment store. This vintage walhalla offers a big range of clothes for men and women. 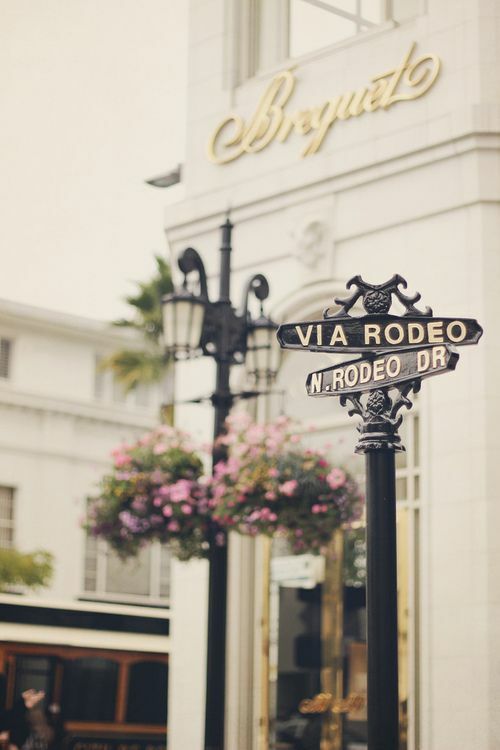 I ended my shopping adventure with a visit to most famous shopping street off Los Angeles: Rodeo Drive. Every legendary designer has his own brand store, from Chanel to Hermes. Shopping in this street is only possible with a big wallet, but even only for the window shopping it is a great experience. Done with the glitter and glamour of Hollywood and looking for something completely different? 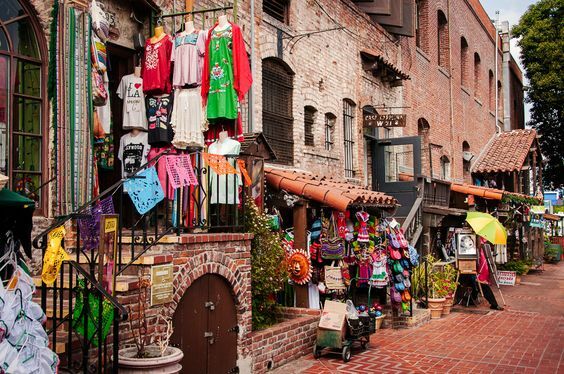 Go to Olvera street, the oldest part of downtown Los Angeles. This street is known as the birthplace of the city. It is famous for the Mexican heritage and it is part of the El Pueblo de Los Angeles Historical Monument. The street will give you the experience to be part of the old Mexico through the authentic architecture, restaurants, markets, traditional music and folklore shops. Go to this place during the day because in the night most shops and markets are closed. I would also recommend to check out their webpage with information about upcoming events http://www.olvera-street.com. Before heading back home I made a little stop in the beach town Santa Monica. Famous for the beaches, 300 days of sunshine and the amazing sunset. 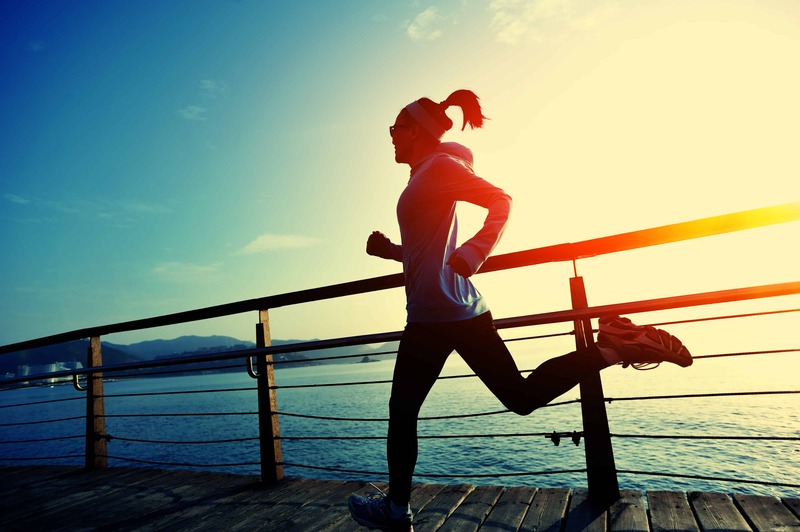 Santa Monica is also well-known as a walkable and bike-friendly town. So park you car at the beach and explore the rest of the town by bike of with your walking shoes. 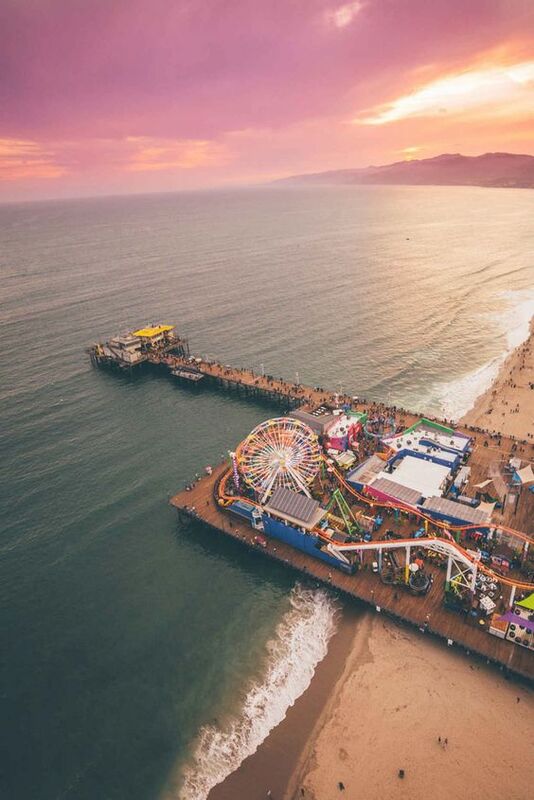 Make sure to visit the Santa Monica Pier with a variety of shops, restaurants and carnival attractions. From the pier you walk straight into downtown Santa Monica in only 10 minutes! Around 2.00 P.M. it was time to go back home via highway 1. It was an amazing trip which I would never forget! Los Angeles offered a wide range of accommodations types. From cheap hostels to luxury hotels. I decided to stay at the Banana Bungalow Hostel in West-Hollywood because I made the trip on my own. A hostel is a great tool to meet new people because there are a lot of individual travelers. I would highly recommend the Banana Bungalow Hostel due the great location, free breakfast and drinks during the night. Does the idea of a California road trip makes you dream? From Santa Barbara to Monterey you will discover all the best spots of the Pacific Coast, driving on Highway 1. The California Coast is one of the most scenic coastal drives in the world. By this way you can discover all the California’s amazing natural life. Obviously, when you drive alongside the ocean you are going to see incredible places and views. That’s the upside of a road trip-you can stop everywhere you want. So, now I will show you the most famous spots of this Highway 1. After leaving Santa Barbara, your first official stop will be in San Simeon. In fact, this city located on California’s Central Coast offers drivers many reasons to stop and stay a while. San Simeon is home to 17,000 different animals, offering many opportunities to commune with wildlife and especially the elephant seals. Thousands of these sea mammals can be viewed sun bathing on a sandy beach or having a jolly good time in the water. The second famous place to visit in San Simeon is the Hearst Castle. It’s a National Historic Landmark which was a residence for newspaper magnate William Randolph Hearst between 1919 and 1947. Actually many people come to visit this castle because of its amazing Roman architecture. Then, you can continue on the road until you reach Sand Dollar Beach, which is the largest unbroken stretch of sand in Big Sur and is considered to be one of the best surfing spots in Big Sur. Visitors said Sand Dollar Beach is a beautiful and relaxing spot to lay out or have a picnic. The beach is open from 10 a.m. to 6 p.m. and it costs $10 to park your car, but another thing that is important to know is that swimming at Sand Dollar Beach is considered dangerous – so be careful. 22.1 miles later you will arrive to Julia Pfeiffer Burns State Park. A main feature of the park is McWay Falls, which drops over a cliff of 80 feet (24 meters) into the Pacific Ocean. 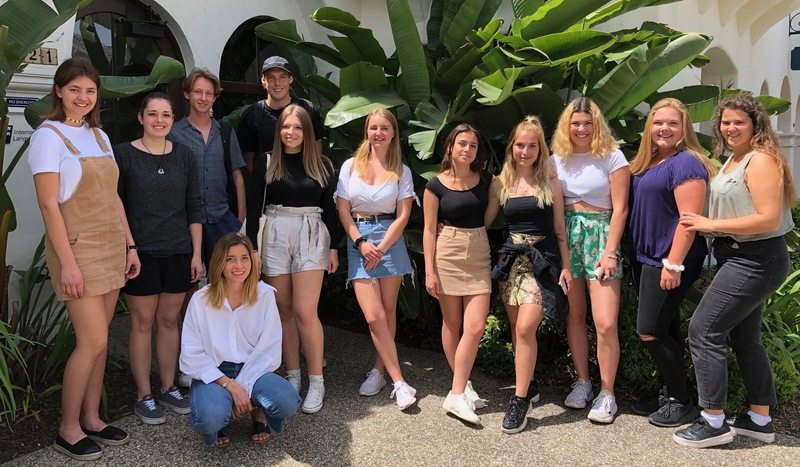 In the same area you will find the Henry Miller Memorial Library, a nonprofit arts center, bookstore, and performance venue, championing the late writer, artist, and Big Sur resident Henry Miller and other creative individuals living in or near Big Sur. But that’s not all, in this place you can also find the Pfeiffer Big Sur State Park and the Pfeiffer Beach. This state park is massive with several hiking trails, picnic grounds and watering holes where you can see picnickers swimming with joy. About the Pfeiffer Beach, I strongly recommend coming in just before sunrise so that you can have the beach all to yourself. Moreover, it’s an amazing place to take pictures of the sunset or sunrise thanks to the impressive rocks situated in front of the beach. In the same area, there is Partington Cove which is a beautiful hike to take in Big Sur. As you make your way through a tunnel, you will start to see the beginning of one of the most beautiful coves you will ever see – the water is so clear you can see the kelp and what seems to be the ocean floor below. A few kilometers further you can find Point Sur Lighthouse. That’s the only complete light station open to the public in California and it offers you an amazing view of the Pacific Ocean. Then, you can continue your road until one of the most famous spot of the Big Sur, the Bixby Creek Bridge. It’s also one of the most photographed bridges in California due to its aesthetic design. It’s like a gate away to Big Sur. Now we arrive at the last area of this road trip, Monterey County, but don’t worry there are still many beautiful places to discover. First, Garrapata State Park, an unknown Big Sur jewel – it’s a treasure to those who have discovered it. Garrapata State Park’s unpopulated hiking trails provide access to both the beautiful Big Sur coastline and the breathtaking Santa Lucia Mountains. So, you can’t miss it! After this, you can go to Point Lobos State Natural Reserve. This place is outstanding for sightseeing, photography, painting, nature study, picnicking, scuba diving, and jogging. The offshore area forms one of the richest underwater habitats in the world popular with divers. Wildlife includes seals, sea lions, sea otters and migrating gray whales. In this reserve you ought to go to China Cove and Gibson Beach, two amazing places to enjoy the view and the wildlife. Then, we will arrive at the penultimate city of this road trip called Carmel-by-the-Sea. Carmel is known for its natural scenery and rich artistic history. Here you can visit all the pretty streets of the city and the famous Mission San Carlos Borromeo de Carmelo. Finally, we will arrive at Monterey, the last place of this road trip. This is one of the most beautiful coastal cities of California. It was originally the state capital of California but today it is best known for its beautiful coastline, its world-class aquarium and from the many John Steinbeck novels set there. As a conclusion, Big Sur will offer you an amazing road trip to discover the California central coast trough the Highway 1. Do not hesitate to stop whenever you want to enjoy the view or the atmosphere of a place. Let appreciate the nature and the wildlife without human intervention. So enjoy it, but be respectful of all the places you will visit. Another important thing to know is that you have to work on your itinerary before you go. Sometimes, some parts of the Highway can be closed for any reasons, so it’s better to be informed in time. You can find below a video of a road trip in Big Sur with some places to sleep and to eat. The earliest known written records of the history of China date from as early as 1250 BC from the Shang dynasty. Ancient historical texts such as the Records of the Grand Historian (c. 100 BC) and the Bamboo Annals (296 BC) describe a Xia dynasty (c. 2070–1600 BC) before the Shang, but no writing is known from the period, and Shang writings do not indicate the existence of the Xia. Archaeological findings providing evidence for the existence of the Shang dynasty, c. 1600–1046 BC, are divided into two parts. The first part, from the earlier Shang period, comes from sources at Erligang, Zhengzhou, and Shangcheng. The second part, from the later Shang or Yin period, is at Anyang, in modern-day Henan, which has been confirmed as the last of the Shang’s nine capitals (c. 1300–1046 BC). This is the longest-lasting dynasty China has known. The Zhou dynasty began to emerge in the Yellow River Valley. They captured the territory that belonged to the Shangs. The Zhou lived west of the Shang, and the Zhou leader had been appointed Western Protector by the Shang. The ruler of the Zhou, King Wu, with the assistance of his brother, the Duke of Zhou, as regent, managed to defeat the Shang at the Battle of Muye. The Zhou people were not invaders; they were Chinese-speaking people descendant from the Longshan Neolithic culture. During the course of several centuries, the Zhou moved away from barbarian pressures, migrating towards the westernmost agricultural basin of North China, the lower Wei River valley, present-day Shaanxi province. Here they began to develop Shang-style agriculture, and they also built a city in an area named Plain of Zhou, which gave its name to the state and the dynasty. The Shang ruling class considered the Zhou “semibarbarious country cousins”. For many years the Zhou and the Shang coexisted alternating peace and war. After further political disagreements, seven prominent states remained by the end of 5th century BC, and the years consolidation in which these few states battled each other are known as the Warring States period. Though there remained a nominal Zhou king until 256 BC, he was largely a figurehead and held little real power. Numerous developments were made during this period in culture and mathematics, examples include an important literary achievement, the Zuo Commentary on the Spring and Autumn Annals, which summarizes the preceding Spring and Autumn period and the bundle of 21 bamboo slips from the Tsinghua collection, which was invented during this period dated to 305 BC, are the world’s earliest example of a two digit decimal multiplication table, indicating that sophisticated commercial arithmetic was already established during this period. As neighboring territories of these warring states, including areas of modern Sichuan and Liaoning, were annexed, they were governed under the new local administrative system of commandery and prefecture. This system had been used since the Spring and Autumn period, and parts can still be seen in the modern system of Sheng & Xian (province and county). The final expansion in this period began during the reign of Ying Zheng, the king of Qin. After he got the approval and trust of Zhejiang, Fujian, Guangdong and Guangxi in 214 BC, this enabled him to call himself the First Emperor (Qin Shi Huang). The Qin Dynasty is well-know because of the great Terracotta army. The Qin dynasty was the first dynasty of Imperial China, lasting from 221 to 206 BC. Named for its heartland in Qin state, the dynasty was founded by Qin Shi Huang, the First Emperor of Qin. The strength of the Qin state was greatly increased by the Legalist reforms of Shang Yang in the fourth century BC, during the Warring States period. In the mid and late third century BC, the Qin state carried out a series of swift conquests, first ending the powerless Zhou dynasty, and eventually conquering the other six of the Seven Warring States. Its 15 years was the shortest major dynasty in Chinese history, consisting of only two emperors, but created an imperial system that lasted, with interruption and adaptation, until 1912 CE. The Han Dynasty was founded by Liu Bang, who was victorious in the Chu–Han Contention that brought to the fall of the Qin dynasty. A golden age in Chinese history, the Han Dynasty’s long period of stability and prosperity created the foundation of China as a unified state under a central imperial bureaucracy, which was to last intermittently for most of the next two millennia. The Han Dynasty saw an age of economic prosperity and witnessed a significant growth of their economy first established during the Zhou dynasty (c. 1050–256 BC). The coinage issued by the central government mint in 119 BC remained the standard coinage of China until the Tang Dynasty (618–907 AD). This in particular is a special era for me personally because my ancestors originate from China and specifically from the Han Dynasty. Before my family came to the Netherlands, they lived in Indonesia for many centuries. They came there from China to trade opium and to begin a new business. Several big Chinese families have been settled in Java for centuries, but so far very little has been done to investigate the social integration into the Javanese society and their part of the local economy, but my ancestors are traced back all the way to the 18th century and they played a significant part in the economic development of the “Oosthoek” or Eastern Salient. The family grew bigger and bigger until the Second World War. When the Japanese army came to Indonesia, they took almost everything from my family for their own usage. My grandfather decided to move to the Netherlands, but a lot of family members are still in Indonesia and other parts of the world. By the 2nd century, the empire declined amidst land acquisitions, invasions, and feuding between clans and eunuchs. The Yellow Turban Rebellion broke out in AD 184, happening in an era of warlords. In the ensuing turmoil, three states tried to gain predominance in the period of the Three Kingdoms. After Cao Cao reunified the north in 208, his son proclaimed the Wei Dynasty in 220. Soon, Wei’s rivals, Shu and Wu, proclaimed their independence, leading China into the Three Kingdoms period. This period was characterized by a gradual decentralization of the state that had existed during the Qin and Han dynasties, and an increase in the power of great families. In 266, the Jin Dynasty overthrew the Wei and later unified the country in 280, but this union was short-lived. The Jin Dynasty or the Jin Empire was a Chinese dynasty traditionally dated from 266 to 420. It was founded by Sima Yan, son of Sima Zhao, who was made Prince of Jin and declared the founder of the dynasty. It followed the Three Kingdoms period, which ended with the conquest of Eastern Wu by the Jin. The Jin Dynasty was severely weakened by internecine fighting among imperial princes and lost control of northern China after non-Han Chinese settlers rebelled and captured Luoyang and Chang’an. In 317, a Jin prince in modern-day Nanjing became emperor and continued the dynasty, now known as the Eastern Jin, which held southern China for another century. Prior to this move, historians refer to the Jin Dynasty as the Western Jin. The Sui Dynasty was a short-lived imperial dynasty of China of great significance. The Sui unified the Northern and Southern dynasties and reinstalled the rule of ethnic Han Chinese in the entirety of China proper, along with the reuniting of former nomadic ethnic people within its territory. A lasting legacy of the Sui Dynasty was the Grand Canal. With the eastern capital Luoyang at the center of the network, it linked the west-lying capital Chang’an to the economic and agricultural centers of the east towards Hangzhou, and to the northern border near modern Beijing. While the pressing initial motives were for shipment of grains to the capital, and for transporting troops and military logistics, the reliable inland shipment links would facilitate domestic trades, flow of people and cultural exchange for centuries. The Tang Dynasty was founded by Emperor Gaozu on 18 June 618. It was a golden age of Chinese civilization and considered to be the most prosperous period of China with significant developments in culture, art, literature, particularly poetry, and technology. Buddhism became the predominant religion for the common people. Chang’an (modern Xi’an), the national capital, was the largest city in the world during its time. Underlying the prosperity of the early Tang Dynasty was a strong centralized bureaucracy with efficient policies. The government was organized as “Three Departments and Six Ministries” to separately draft, review, and implement policies. These departments were run by royal family members as well as scholar officials who were selected by imperial examinations. These practices, which matured in the Tang dynasty, were continued by the later dynasties, with some modifications. The period of political disunity between the Tang and the Song, known as the Five Dynasties and Ten Kingdoms period, lasted from 907 to 960. During this half-century, China was in all respects a multi-state system. Five regimes, namely, Liang, Tang, Jin, Han and Zhou, rapidly succeeded one another in control of the traditional Imperial heartland in northern China. Among the regimes, rulers of Tang, Jin and Han were sinicized Shatuo Turks, which ruled over the ethnic majority of Han Chinese. More stable and smaller regimes of mostly ethnic Han rulers coexisted in south and western China over the period, cumulatively constituted the “Ten Kingdoms”. Amidst political chaos in the north, the strategic Sixteen Prefectures (region along today’s Great Wall) were ceded to the emerging Khitan Liao Dynasty, which drastically weakened the defense of the China proper against northern nomadic empires. To the south, Vietnam gained lasting independence after being a Chinese prefecture for many centuries. With wars dominated in Northern China, there were mass southward migrations of population, which further enhanced the southward shift of cultural and economic centers in China. The era ended with the coup of Later Zhou general Zhao Kuangyin, and the establishment the Song dynasty in 960, which eventually annihilated the remains of the “Ten Kingdoms” and reunified China. The Yuan Dynasty, officially the Great Yuan, was the empire or ruling dynasty of China established by Kublai Khan, leader of the Mongolian Borjigin clan. It followed the Song Dynasty and preceded the Ming Dynasty. Genghis Khan and his sons set the foundation for the Yuan Dynasty by defeating the Western Xia and conquering Central Asia, Mongolia, and the Hexi Corridor. This gave them a base of manpower, horses, technology, and experience to finish the conquest of the fierce Jin army and then to go on and conquer the Dali empire and the Song empire. Genghis Khan died in 1227 and had named his son, Ogedei, to be the next emperor. Ogedei was said to rule the whole Mongol empire from 1229 to 1241, but he concentrated his efforts in the eastern part of it. In 1232, he invaded the Jin Empire in alliance with the Song Empire. Jin was defeated in 1234. From 1235, Ogedei started a campaign with the Song Dynasty. Kublai was a grandson of Genghis Khan. He had a comparatively long rule and reformed the empire to increase his power and make the empire prosper. In 1253, he captured the Dali Kingdom in Yunnan Province. In 1259, Kublai campaigned against the Southern Song Dynasty. In 1260, Kublai took the throne after his elder brother, Mongke, died.When he heard that his elder brother, who was the Great Khan Mongke, had died, he and another brother went to war. Both of them wanted to be the Khan. They fought a series of battles and Kublai won. 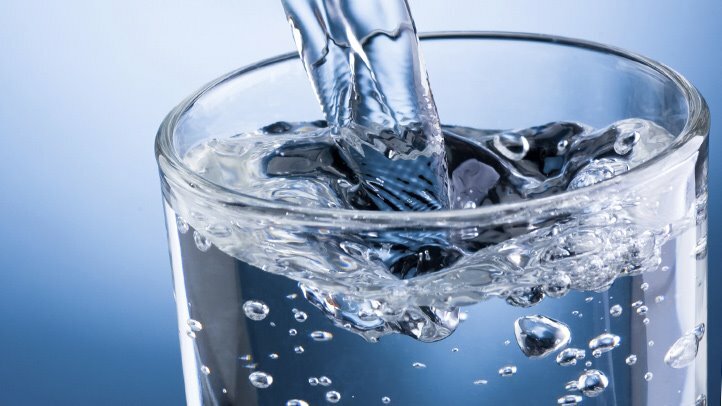 This caused a division in the Mongol Empire. The Golden Horde that controlled the area of Russia and Chagatai Khanate did not recognize Kublai Khan as their ruler. Kublai sent large armies against the Song people in the 1270s. In 1276, the Mongols captured the Song capital of Hangzhou and most of the Song Dynasty clan. However, two young brothers of the captured Song emperor escaped and went south. In 1227 , the Song Dynasty court fled to Quanzhou. They were attacked there by a rich Muslim merchant. They fled again to Hong Kong and the court attempted to make a stand there in 1279, but they were soundly defeated by the Mongols. The last emperor died there at the age of 9 in 1279. The Ming dynasty was the ruling dynasty of China – then known as the Great Ming Empire – for 276 years following the collapse of the Mongol-led Yuan dynasty. The Ming dynasty was the last imperial dynasty in China ruled by ethnic Han Chinese. Urbanization increased as the population grew and as the division of labor grew more complex. Large urban centers, such as Nanjing and Beijing, also contributed to the growth of private industry. In particular, small-scale industries grew up, often specializing in paper, silk, cotton, and porcelain goods. For the most part, however, relatively small urban centers with markets proliferated around the country. Town markets mainly traded food, with some necessary manufactures such as pins or oil. The Ming Dynasty intervened deeply in the Japanese invasions of Korea (1592–98), which ended with the withdrawal of all invading Japanese forces in Korea, and the restoration of the Joseon Dynasty, its traditional ally and tributary state. The regional hegemony of the Ming dynasty was preserved at a toll on its resources. Coincidentally, with Ming’s control in Manchuria in decline, the Manchu (Jurchen) tribes, under their chieftain Nurhaci, broke away from Ming’s rule, and emerged as a powerful, unified state, which was later proclaimed as the Qing dynasty. It went on to subdue the much weakened Korea as its tributary, conquered Mongolia, and expanded its territory to the outskirt of the Great Wall. The most elite army of the Ming dynasty was to station at the Shanhai Pass to guard the last stronghold against the Manchus, which weakened its suppression of internal peasants uprisings. The Qing Dynasty, officially the Great Qing, was the last imperial dynasty of China. It was established in 1636, and ruled China proper from 1644 to 1912. It was preceded by the Ming Dynasty and succeeded by the Republic of China. The Qing Dynasty (1644–1911) was the last imperial dynasty in China. Founded by the Manchus, it was the second conquest dynasty to rule the entire territory of China and its people. The Manchus were formerly known as Jurchens, residing in the northeastern part of the Ming territory outside the Great Wall. They emerged as the major threat to the late Ming Dynasty after Nurhaci united all Jurchen tribes and established an independent state. However, the Ming Dynasty would be overthrown by Li Zicheng’s peasants rebellion, with Beijing captured in 1644 and the Chongzhen Emperor, the last Ming emperor, committing suicide. In response to calamities within the empire and threats from imperialism, the Self-Strengthening Movement was an institutional reform in the second half of the 1800s. The aim was to modernize the empire, with prime emphasis on strengthening the military. However, the reform was undermined by corrupt officials, cynicism, and quarrels within the imperial family. As a result, the “Beiyang Fleet” were soundly defeated in the First Sino-Japanese War (1894–1895). The Guangxu Emperor and the reformists then launched a more comprehensive reform effort, the Hundred Days’ Reform (1898), but it was soon overturned by the conservatives under Empress Dowager Cixi in a military coup. At the turn of the 20th century, the violent Boxer Rebellion opposed foreign influence in Northern China, and attacked Chinese Christians and missionaries. When Boxers entered Beijing, the Qing government ordered all foreigners to leave. But instead the foreigners and many Chinese were besieged in the foreign legations quarter. The Eight-Nation Alliance sent the Seymour Expedition of Japanese, Russian, Italian, German, French, American, and Austrian troops to relieve the siege. The Expedition was stopped by the Boxers at the Battle of Langfang and forced to retreat. Due to the Alliance’s attack on the Dagu Forts, the Qing government in response sided with the Boxers and declared war on the Alliance. There was fierce fighting at Tientsin. The Alliance formed the second, much larger Gaselee Expedition and finally reached Beijing; the Qing government evacuated to Xi’an. The Boxer Protocol ended the war. Frustrated by the Qing court’s resistance to reform and by China’s weakness, young officials, military officers, and students began to advocate the overthrow of the Qing dynasty and the creation of a republic. They were inspired by the revolutionary ideas of Sun Yat-sen. A revolutionary military uprising, the Wuchang Uprising, began on 10 October 1911, in Wuhan. The provisional government of the Republic of China was formed in Nanjing on 12 March 1912. The Xinhai Revolution ended 2,000 years of dynastic rule in China. After the success of the overthrow of the Qing Dynasty, Sun Yat-sen was declared President, but Sun was forced to turn power over to Yuan Shikai, who commanded the New Army and was Prime Minister under the Qing government, as part of the agreement to let the last Qing monarch abdicate (a decision Sun would later regret). Over the next few years, Yuan proceeded to abolish the national and provincial assemblies, and declared himself emperor in late 1915. Yuan’s imperial ambitions were fiercely opposed by his subordinates; faced with the prospect of rebellion, he abdicated in March 1916, and died in June of that year. Yuan’s death in 1916 left a power vacuum in China; the republican government was all but shattered. This ushered in the Warlord Era, during which much of the country was ruled by shifting coalitions of competing provincial military leaders. In 1919, the May Fourth Movement began as a response to the terms imposed on China by the Treaty of Versailles ending World War I, but quickly became a nationwide protest movement about the domestic situation in China. The protests were a moral success as the cabinet fell and China refused to sign the Treaty of Versailles, which had awarded German holdings to Japan. The New Culture Movement stimulated by the May Fourth Movement waxed strong throughout the 1920s and 1930s. I arrived on Thursday morning at 10 am in the financial district. I reunited with my best friend from Belgium and it was kind of an emotional moment. To catch up and start slowly, we ate brunch in a Starbucks, which was really nice and chill. After dropping my stuff at her house, we went straight into the center of the city where we walked around a little bit and in the evening we went to the cinema and saw The Nutcracker and the Four Realms. We came back home quite early because we needed to have a lot of energy for the next day which was Black Friday! We decided that Saturday would be tourist-day! First thing we did when we woke up was take a little walk in the neighborhood because it was really vintage-looking and quiet. After that we visited famous places like : The Painted Ladies, Golden Gate Bridge, Ghirardelli Square, Fishermans Wharf. That took the whole day and in the evening we went back to Union Square and did a really festive activity : ice skating! This was the most magical moment of the whole trip and the whole place really looked like a winter wonderland. After that we went up to Macy’s rooftop because that is where the Cheesecake Factory is located. We ate the most delicious cheesecake, one was tiramisu-flavored and the other one was raspberry-lemon. We called it a day and went back home for a good night sleep. For our last day together, we really wanted to enjoy each other’s company so we just did what made us happy. In the morning we went to the Golden Gate Park where we had coffee. We saw amazing buildings and the weather was great, too. For lunch we tried a typical Frisco-dish which was soup in a bread-bowl. Because we are both vegetarians we ordered a tomato soup and it was delicious! The best place to eat this is on Fishermans Wharf at the pier and it is called Boudin Bakery. For desert we tasted a holiday doughnut from Krispy Kreme Doughnut and it was the best doughnut I have ever had … This day passed by quite quickly and it was now time for me to come back to Santa Barbara. It was really hard to say goodbye again, but I had the best time with my favorite person in this world. Even though I miss her like crazy I know we will see each other again soon!.Thank you, Lou ! Dystopia is a variant of science fiction. Unlike utopias, which take place on happy locations, in most cases, dystopias depict nightmarish worlds because literally ‘dystopia’ means ‘not-good place’. Authors, according to their centuries, describe the world they imagine for the future. So, in what way is the writing of dystopias revealing the fears and worries present for the future world? There is a the translation of the scientific progress in dystopias. Then, dystopias evoke the fear of lack of freedom and can talk about the fear of the technological advances. 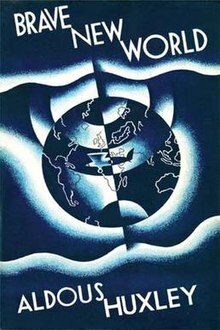 In first part, we can talk about Brave New World, Aldous Huxley’s dystopia based on a scientific and eugenic society. In his novel, we understand that basically all babies who are born are automatically placed in classes that define which statue they have in their society. For example, Alpha is the best one. They are programmed to be tall, beautiful, and clever. Then, Bêtas also formed an intelligent class. Gammas, Deltas and Epsilon are the middle and low classes. The chapter 2 takes place in a hospital where the Director forms Bêtas. There is a loud speaker which makes a speech “Alpha children wear grey. They work much harder than we do, we are much better than the Gammas and Deltas”. These conditioning behaviors include the acceptance of social classes. By listening to these words when you are a child we will always remember who you are in the society. Therefore, we noticed how social conditioning is violent. Moreover, in Huxley’s dystopia, babies are conditioned by electric shocks to learn hatred of beautiful things. This extract depicts a nightmarish world, controlled by the power of words, and the violence. Suzanne Collins wrote The Hunger Games in 2008. In the beginning of the book, we discover a world separated by a fence in the 12th District. 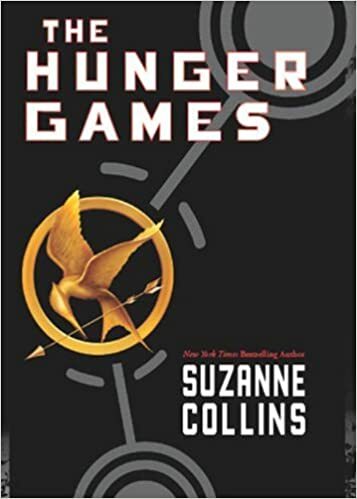 The first Chapter introduces Katniss, the main character, she lives in the 12th district and she likes hunting in the forest even if it’s forbidden. Panem, the 12th, is the poorest district. In the beginning, the location is described as somewhere “gray” and “dusty”. Panem is a place where the government had taken everything. Moreover, people such as Katniss must obey to superior authority, in this case, the Capitol, the only one place that can be rich. To enforce the authority, a kind of military exists : the Peacekeepers. But to maintain terror, the Hunger Games also exists . A game which aims to choose two people of each district and to make them fight until the death. So, people are always submissive and therefore without liberty. This world would be the nightmare of the totalitarianism. The futuristic world involve technological progress. 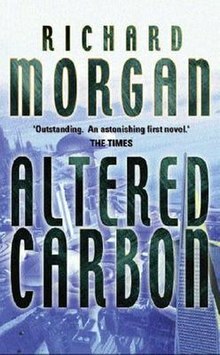 Richard K Morgan’s novel, called Altered Carbon, set in a future in which life is facilitated by transferring consciousnesses between bodies. It follows the attempt of Takeshi Kovacs, a soldier turned private investigator. But when Takeshi is resleeved, it’s not in his own body. In his novel, a rich man named Laurens Bancroft has, apparently, committed suicide. When he is resleeved and his destroyed stack restored, its 48-hours back-up schedule means he has no memories of the previous two days. Convinced he was murdered, Bancroft hires Takeshi Kovacs to investigate. He is forced to obey because the people who are called Meths, people like Bancroft, are wealthy and are among other things, able to acquire replacement bodies forever. So, they are eternal while people are dying because they don’t have money to restore their stacks. Therefore, people are also hierachied and submissive to powerful people but also dominated by technology and become kinds of robots. Dystopias translate the fears and worries present about our future world. The fear that science will become more important than human beings, that it categorized people and gives too much power to some people. We are afraid that perfection will become too important and threaten the uniqueness. Then, it also translates the fear of losing our liberty, the fear that the government will take us over. And finally we develop a fear of technological progress that could destroy our humanity and dominate the human world. In each case, everything seems irreversible. This may be a warning from the authors. In my opinion, Dystopias are a good way to make people aware about the most likely future problems that hovers over the world. Then, it also permits the creation of a brief idea of what our world could be like in some centuries. First of all, this is the first time I have visited the U.S.A. and of course it is a nice fun and good experience at the same time. During my stay there were beautiful events and festivals including Halloween. This was an interesting event for me because it was the first time I have been involved in this event and it was a beautiful experience in my life. I participated in this celebration with the wonderful EF Institutes and it was a wonderful celebration. My costume was about a character in the circus. We were in competition with most of the students at the institute for the best costume and for the first time I won and I took fifth place.